These pictures and this Email were sent to me from Hans via the Netherlands. As you will read, bowhunting is not allowed in their country. Should bowhunting ever be outlawed in American I wonder how many people would keep up with our wonderful sport? Sadly, probably not very many. 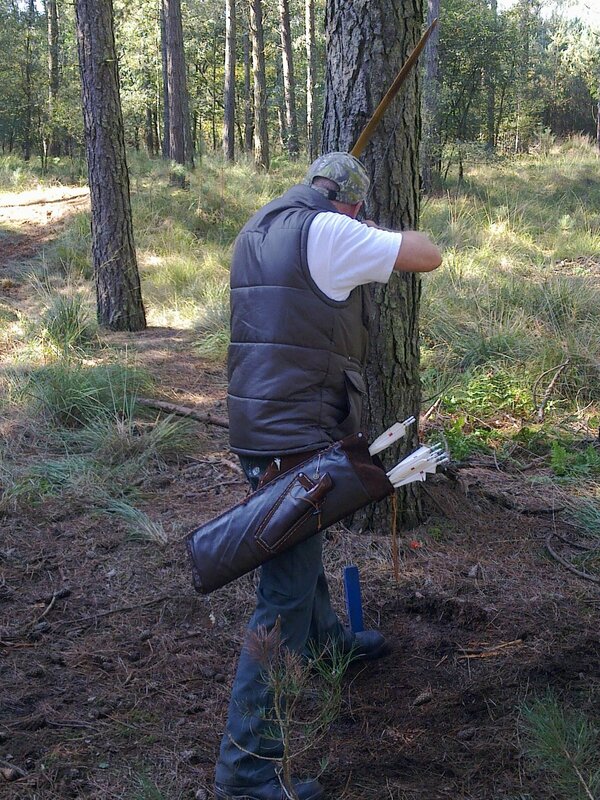 How great it was to see the passion that these folks have for traditional archery! Bowhunting is not allowed in our country, The Netherlands, Europe, so I send you some pictures of our 3d-tournament called: Rondje in de Wei, which means as much as: Round around the meadow. 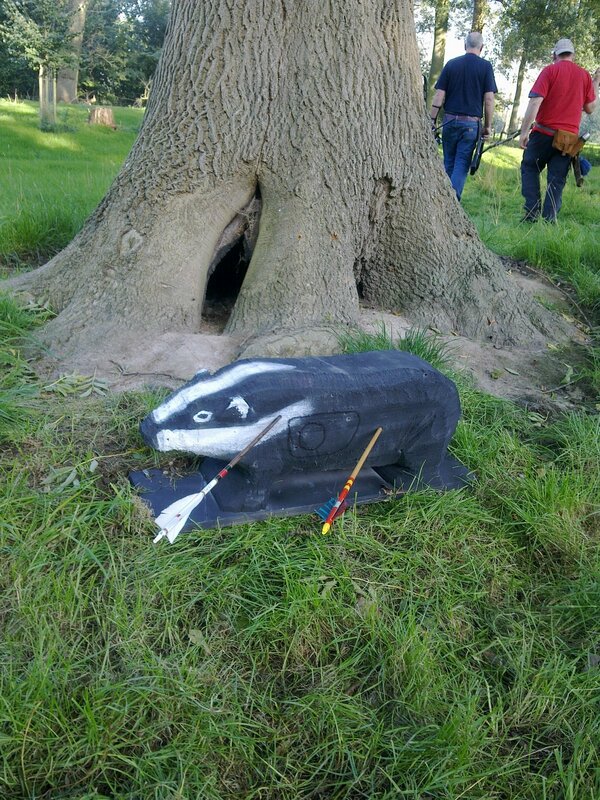 Targets are placed on distances from 10meter up to 60 meters. 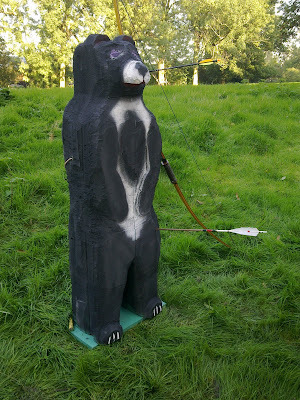 Badger was on 25m and the black bear about 50 meters, shooting over water! 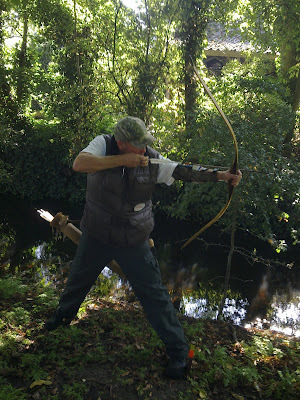 It was one of the first times I was shooting my Spirit Longbow made by Bryan Holley, which I recently bought. It is a fine shooting longbow, fast and very nice looking! Don't see them very often, overhere in Europe! But I know where to get them now: at RMS Gear!!! You have a very nice internet-site, which I visit very often to read, look at the photo gallery and all the beautifull bows you have for sale! Might buy an other Spirit Longbow from you next year!